Most of my woodworking projects tend to be more utilitarian than fine craftsmanship, but I've dabbled here and there. Recently i made baseboards for the family room in the basement out of 1"X8" common pine. Nothing fancy, just sent them through the router table to add decoration on the top, then scribed them to match the contour of the uneven basement floor. They came out pretty nice. 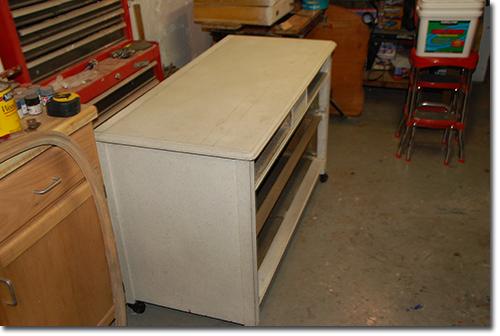 Most of my other projects tend to be refinishing old pieces of furniture. These usually fall under the category of "so far gone that I'm not going to hurt them", so I resort to using bondo and plastic wood at times to fill in major problems. Next prject on the horizon is a set of bunk beds for my daughters, using the set I made for my sons as a guide.